Out of Africa seemed out of place. The book jacket is lovely, no? I was surprised to find it listed among National Geographic’s top 100 adventure stories of all time. * I thought it was more of a swoony period romance that limped along like a broken cricket. It was certainly not the stuff of extreme adventure. So I hesitated to pick up the volume. But the determination to tackle NatGeo’s list overpowered what may have been the memory of an immature adolescent, so I threw myself into the recliner, tome in hand. Immediately several things became obvious. Let me highlight just two. 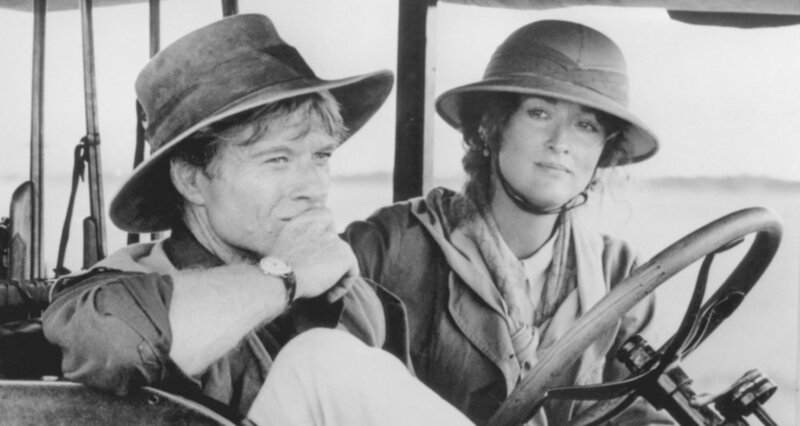 The film adaptation of the book cast Robert Redford as big-game hunter Denys Finch Hatton and Meryl Streep as the author Karen Blixen. Image from here (accessed 3/14/2019). First, Blixen is a captivating storyteller. 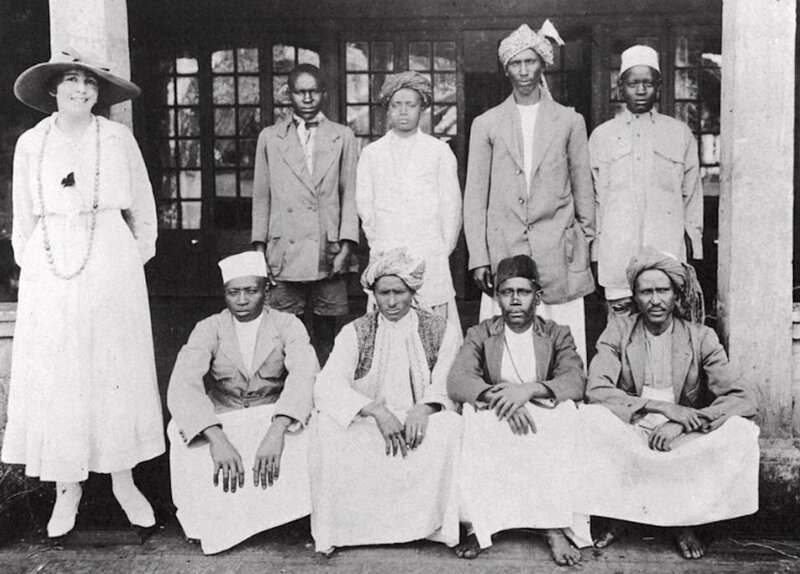 Her first-person narrative whisked me away to British East Africa. I found myself confronted by the odd pairing of an unruffled existence and the primitive struggles of life on a 4,000-acre coffee farm. There in the Ngong Hills of Kenya’s yesteryear . . . I slowed down. I raised and released an orphaned fawn. I was introduced to the complexities of Kikuyu and Maasai cultures. I suffered a plague of locusts. Trembling, I squeezed the trigger on my rifle and shot a charging lion. These stories are rolled out not as one narrative but as many, knitted together loosely in five “books.” All but the fourth is themed: they are vignettes elicited from a “dry and burnt” landscape “the colour of pottery.” Out of Africa is out of time, or at the least, not bound by it. Blixen gathered her experiences between the years 1914-1931 and published them as memoir in 1937. Nearly a century has passed and they are no less vibrant. Second, Blixen is a bold survivor. She tells her story without explanation or apology. One must look elsewhere to find the details of her personal life—quite painful—highlighted in the Pollack film. In the book, she simply appears as colonial-era owner-manager of a 4,000 acre coffee farm. 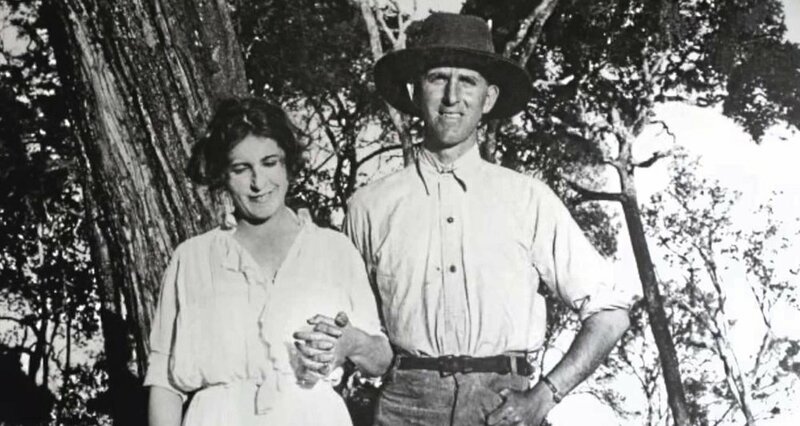 Only hints suggest how she acquired the farm, how painful her marriage was, how she physically suffered from her husband’s infidelity (neurosyphilis, heavy metal poisoning), and later, how her own affair with big-game hunter Denys Finch Hatton developed and was tragically cut short. That is not the stuff of this book. Karen Blixen and Denys Finch-Hatton. Image from here. What the reader does find is a person of privilege who struggles with repeated loss. She does so with the kind of ebullient courage that qualifies this book as a story of extreme adventure. She attempts to hold the farm together for her own sake and for the sake of the community of squatters and workers who occupy it. Blixen’s colonial mindset is evident in her choice of language, no doubt, but it is a mindset tempered by respect and affection for the cultures and people who labor around her. One may be tempted to compare Blixen with Hemingway, but that would be a mistake. While the two moved in similar circles, shared a love for the same region, and clearly read each other (Hemingway praised Blixen’s work following his reception of the Nobel Prize in Literature in 1954**), they expressed themselves differently. Both dallied with tragedy. Hemingway did it using crisp and sardonic prose. Blixen is efficient as well, but is also fluid and warm and playful. Blixen and her workers. From her farm, c 1920. Image from here (accessed 3/15/2019). In the end, I am glad that I picked up this volume. I will proudly place it on my bookshelf of extreme adventure. Karen Blixen pictured on the flap of the book jacket. *If you would like to see the list of 100 extreme classics, see National Geographic Adventure Magazine (May, 2004). http://www.nationalgeographic.com/adventure/0404/adventure_books.html (accessed March 11, 2019). **Clara Juncker. “After You, Baroness!”: Ernest Hemingway and Karen Blixen (Isak Dinesen). The Hemingway Review 35/2 (2016): 87-109. https://muse.jhu.edu/ (accessed March 11, 2019).